You can’t see it. You can’t feel it. There is no medication for it. I’m talking about non alcoholic fatty liver disease (NAFLD). In the past couple of decades I’ve seen a huge uptick in this silent killer in my own practice. And it’s no wonder! Back in 2005 only about 15% of the U.S. population was estimated to have NAFLD. Today that estimate ranges from 30% to 40%. The prevalence has more than doubled… now affecting somewhere between 80 and 100 million Americans. You can clearly see why I’m concerned, and you should be too. Especially since diagnostics used to identify the condition aren’t the most reliable. For example, when your doctor sends in your blood work, levels of two liver markers are tested for. These include alanine aminotransferase (ALT) and aspartate aminotransferase (AST). Now, as far as AST is concerned, it isn’t a very good indicator of liver damage. It’s found in all sorts of tissue – from your muscles to your heart to your kidneys. So a simple muscle injury can raise levels. ALT, on the other hand, is much more concentrated in the liver. And when you experience liver injury or damage, it gets released into your bloodstream. This makes it an excellent marker of your liver status. The problem is, “normal” AST values are generally set way too high. More reasonable cut-off levels are an ALT upper limit of 29 IU/L for men and 22 IU/L for women. So when I see male patients who fall in the 29-33 IU/L category and women who fall between 22-25 IU/L, I get serious real fast. When these levels are reached I know one thing for sure: In these ranges my patients’ health and longevity is going to spiral downhill very quickly. Save Your Liver to Save Your Life! Lose weight. Easier said than done, I know. But just a 5% weight loss can reduce the fat content in your liver by about a third. And if you lose up to 10% of your body weight you can even slash levels of inflammation that may be damaging your liver. I have two great weight-loss articles in the Advanced Natural Wellness archive. One of them zeroes in on filling your diet with delicious, nutrient rich foods that quickly melt pounds away. The other discusses how the timing and content of your meals can have a huge impact on your weight-loss efforts. If you’re overweight, I recommend taking the helpful advice in these articles to heart. Keep moving… (Or if you are sedentary get moving!) A long, brisk walk every day might be just what you need to lower those elevated ALT liver enzymes. And if you’re up to it, try more challenging exercises like squats, jumping jacks and push-ups. Start off at a comfortable level, then give it your all for 30 seconds or so. Rest a minute or two and then repeat a few more times. Just check with your doctor before getting too vigorous. 420–600 mg of silymarin daily. This is an herbal extract of milk thistle that has a direct effect on inflammation and scarring in liver cells. Make sure it is standardized to 80 percent silymarin content. 250-750 mg of CDP choline (citicoline) daily. Start at the low end and work your way up to 750 mg each day in divided doses. 2,000 to 8,000 IU of vitamin D3 in the cholecalciferol form. (2,000 to maintain. 5,000 if your levels are slightly low. 8,000 for deficiency.) People with low levels of vitamin D are about 26% more likely to develop fatty liver than those with adequate levels. Have your doc retest every three months and adjust levels accordingly. Perumpail BJ, et al. Clinical epidemiology and disease burden of nonalcoholic fatty liver disease. World J Gastroenterol. 2017 Dec 21;23(47):8263-8276. Kim HC, et al. Normal serum aminotransferase concentration and risk of mortality from liver diseases: prospective cohort study. BMJ. 2004 Apr 24;328(7446):983. Ruhl CE, et al. Upper limits of normal for alanine aminotransferase activity in the United States population. Hepatology 2012; 55:447–454. Kwo PY, et al. 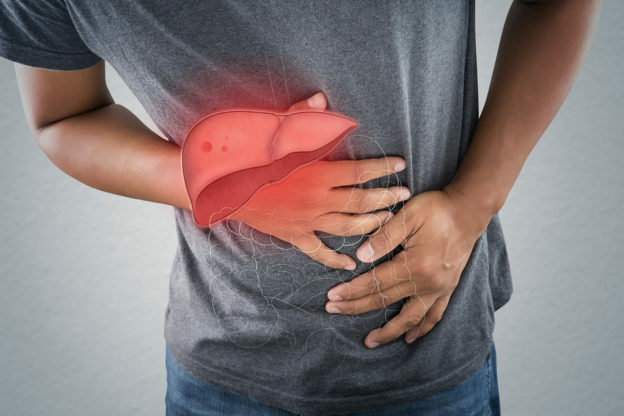 ACG Clinical Guideline: Evaluation of Abnormal Liver Chemistries. Am J Gastroenterol. 2017 Jan;112(1):18-35. Novel concepts for the diagnosis of fatty liver and personalized treatment. Press Release. DEUTSCHES ZENTRUM FUER DIABETESFORSCHUNG DZD via EurekAlert. Aug 2018. The skinny on fatty liver disease. Harvard Men’s Health Watch. Harvard Medical School. Jan 2018.